In order to keep up with the growing demand for Solstice Pods, Mersive is launching a demo program to provide end users an easy way to evaluate the Solstice Pod for their use cases – and to help augment the demo programs offered by our authorized resellers. Through the new demo program, any end user may request a Solstice Pod demo unit on the Mersive website for a 30-day evaluation by paying only the cost of shipping the Pod from Mersive’s Denver headquarters to the end user’s location. At the end of the 30-day evaluation period, the Pod may be purchased or returned to Mersive. The request a demo unit, please visit mersive.com/product/solstice-pod-demo and enter your shipping information. End users may also continue to request Solstice Pod demos from their local authorized Mersive partner where available. In addition to Pod demos, Mersive offers a Solstice Windows Software trial program, which provides access to a free, 30-day software trial of Solstice Windows Software. Mersive is pleased to release a new Solstice training video for end users. In this video, we cover everything users need to know to walk into a room and start wirelessly sharing content and collaborating with Solstice, including how to get connected, share the device screen, stream web videos, move and control content, use moderator mode and more. 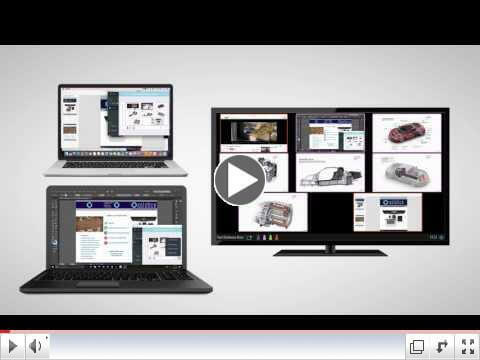 This is the first video in a full Solstice training series for customers and partners. Be sure to watch for videos 2-4 to be released in the coming weeks. Notice something different about Solstice in the video? The training series videos feature an early look at our new Solstice 3.0 user interface due for release in early May 2017. With Solstice Multi-Room set for release in early May, this is the last chance to see the new capability in action before it becomes available. Join Mersive’s upcoming Solstice Multi-Room webinar April 19 at 11 AM MDT for an overview and live demo of the new Multi-Room capability from Mersive CTO Christopher Jaynes, PhD. Solstice Multi-Room allows users to share content collaboratively from any room participating in the meeting, bringing wireless content-based collaboration to meetings that span multiple locations in an organization. 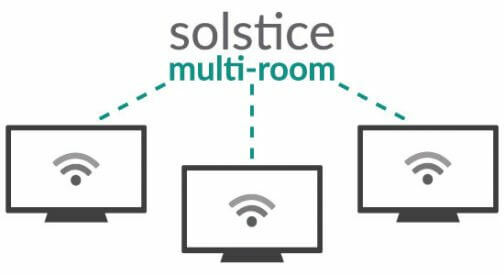 To see Solstice Multi-Room and learn how it integrates with your existing conferencing solutions, sign up for the April 19 webinar. Can’t make the webinar? Don’t worry! We’ll send all registrantsthe video recording following the webinar.